Doodlebug is an energetic Welsh-type mare that stands about 11.2 hands, with the ability to make tight turns and break into an immediate gallop. 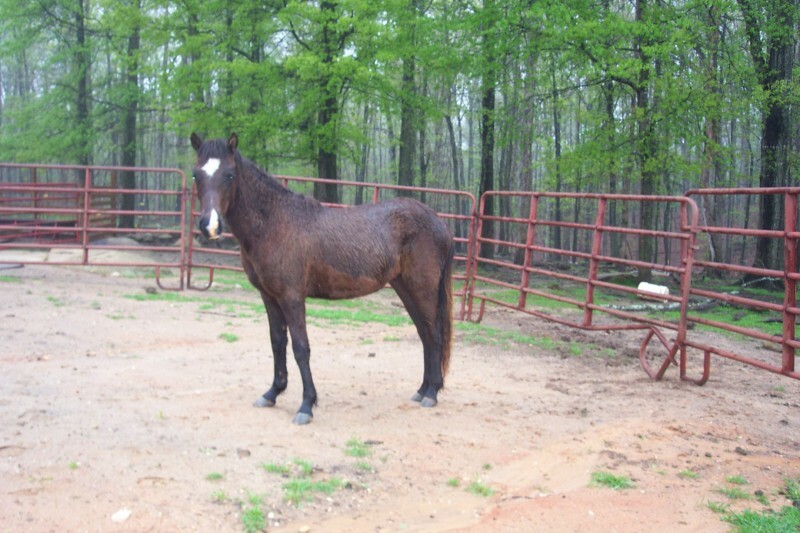 Her powerful hindquarters have been passed on to her daughters, Cherokee and Twilight. 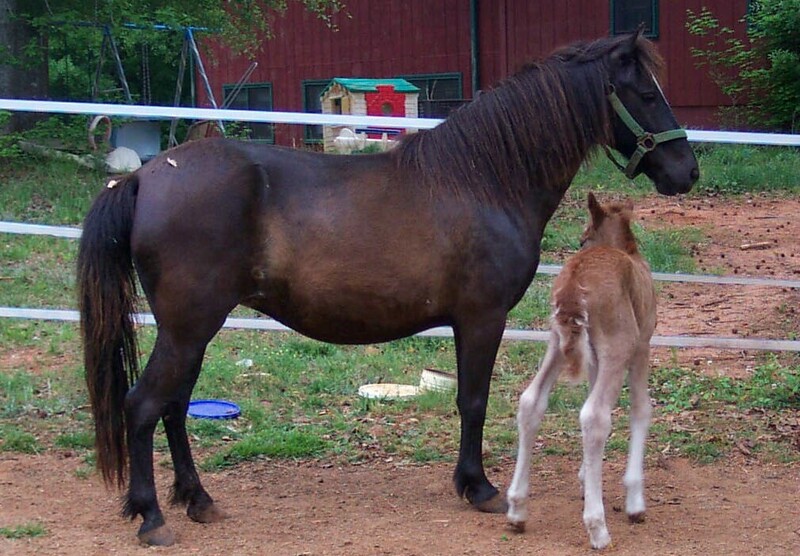 Ivan the Terrible is the mascot of Pony Trail Farm and half-brother of Cherokee, Twilight, and Patriot. He earned his name when he arrived at Pony Trail as an unbroken, untouched, and newly gelded three-year-old. Since that time, he has been transformed into a favorite riding pony. 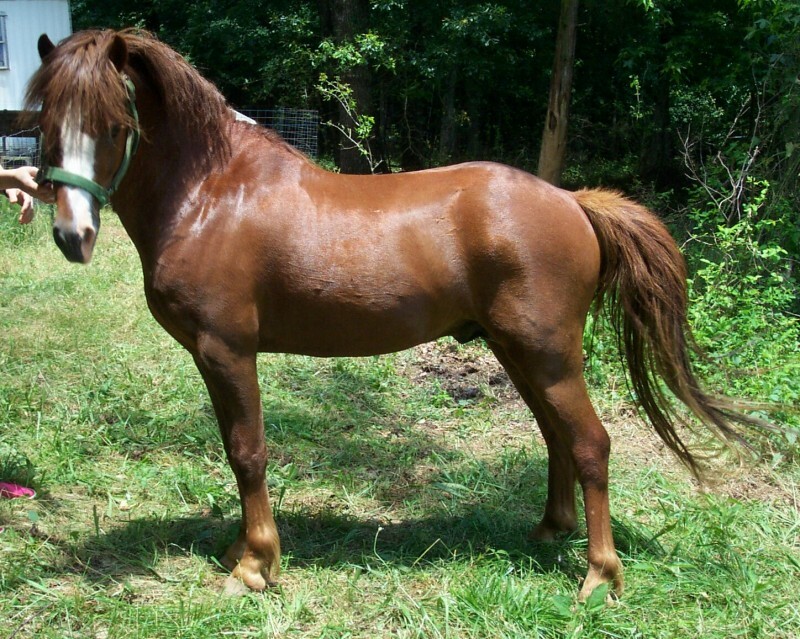 Cherokee Rose, born April 26, 2004, was the first foal born on Pony Trail Farm. A daughter of Punk Pony and Doodlebug, she has amazed us all by growing to the astounding height of 12.3 hands! 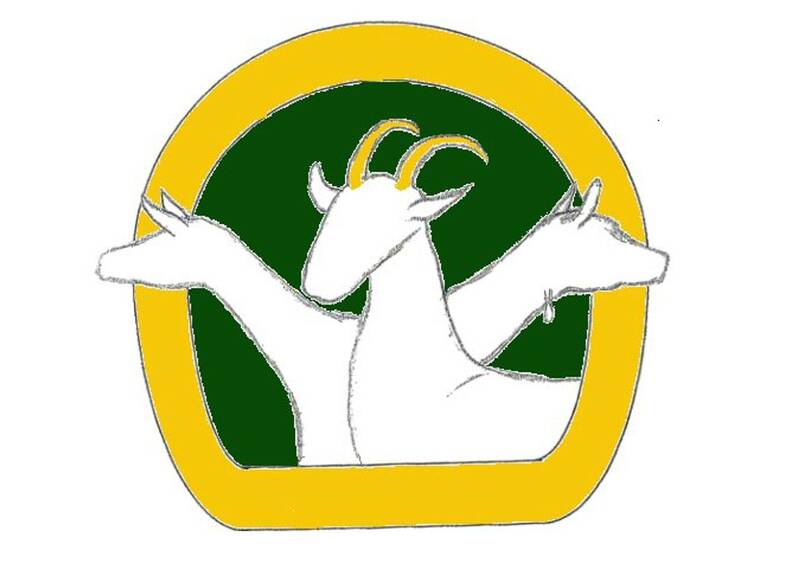 We attribute this to the goat's milk she learned to love. Cherokee is now in training, and promises to be another favorite at Pony Trail. 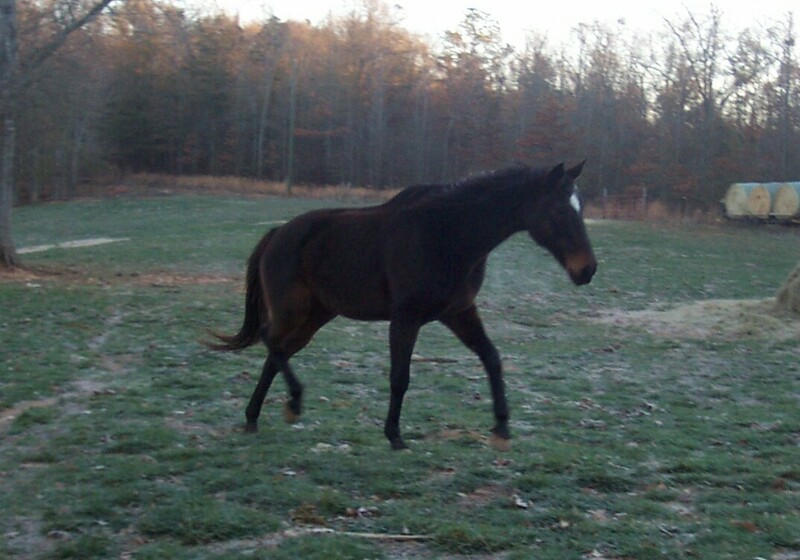 Twiligh t, born November 2007, is an energetic, athletic, and responsive mare. She loves to learn, and is willing to please. 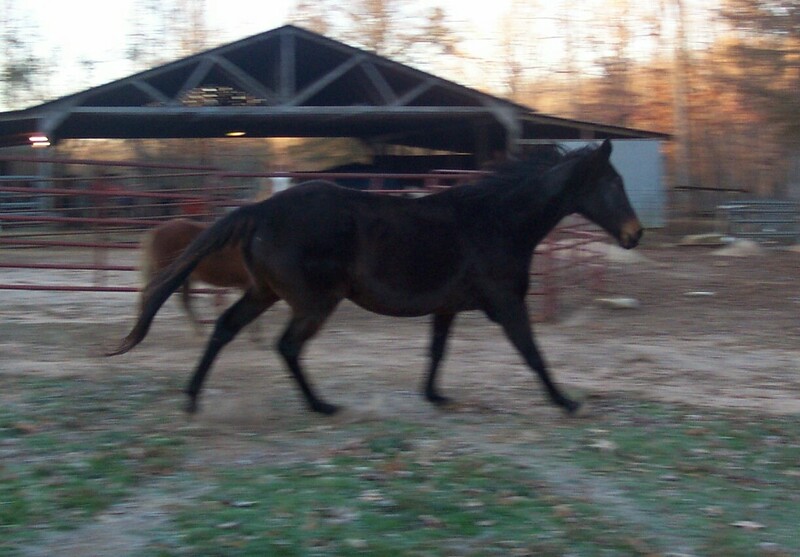 Another Punk Pony and Doodlebug daughter, and she is just under 13 hands, only a little smaller than her sister Cherokee. Twilight is a dominant mare, and hates being bossed around. She is the queen of her pasture, ruling over Cherokee, the goats, and dogs alike - well all the dogs except for Wolf, whom she respects as the guard. 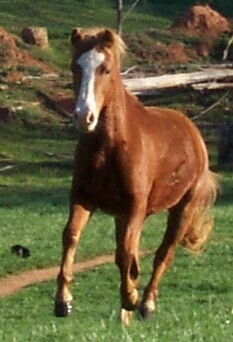 the sire of Ivan, Cherokee, and Twilight. He has good conformation and is very athletic. He stands about 11 hands tall. We finally sold him, though he will never be forgotten.